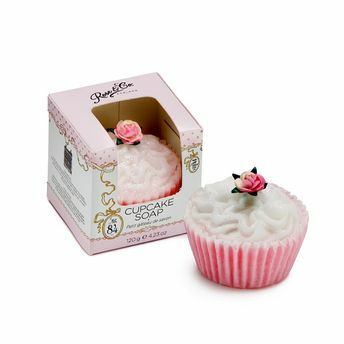 An adorable handmade cupcake-shaped soap, rich in glycerine to keep skin soft and clean. This is a decadent treat for a gift, as a guest soap or to decorate your bathroom with. The signature scent of the Rose and Co. No. 84 collection is inspired by classic rose with a modern twist. The scent is a complex blend of rose, tea, violet, jasmine, iris, powdery cedar, amber and musk - it is a delight for rose and non-rose lovers everywhere.